For many, the idea of working from home is a sought after opportunity. Flexible hours, no commute, and the ultimate casual dress code attract many to telecommuting positions. Studies are finding, though, that working from home can actually be harmful to one’s health if not approached thoughtfully. Many employees who work from home site both physical and mental maladies as a result of their work environment. Many telecommuters do not have a designated home workspace and, as a result, tend to work from bed or the couch. Such spaces rarely promote optimal posture, causing individuals to spend hours in a hunched position. Such prolonged ill posture can lead to neck and back pain and injury. Additionally, many have difficulty segregating their family and work responsibilities, which causes stress and tension. While being in an office environment allows an employee to assume an “out of sight, out of mind” mentality toward family duties, when working from home, one may become overwhelmed with both work and personal tasks overlapping at the same time. Also, while employers are rightfully concerned with making sure that telecommuting employees are being productive, there is often less concern with employees tending to be too productive. Meaning, many work-from-home employees have a hard time disconnecting and ending the work day. This pressure to always be available can cause exhaustion, overwork, and stress. Provide employees access to training on flexible work arrangements – i.e. webinars, books, etc. Offer online personality and work-style assessments to determine if a telecommuting position is in the employee’s best interest. Help remote employees build a blueprint for what a workday from home should look like – make sure they are scheduling regular breaks, lunch, and end-of-day checkpoints. Consider offering a home office expense account or stimpant so that remote employees can create a healthy home workspace. Find a designated workspace in your home with little distraction from other home/family duties. Make sure your workspace has adequate lighting. Obtain a chair that is both at a proper height and offers sufficient back support. Make sure your monitor is properly adjusted. Take regular breaks to stretch and step away. 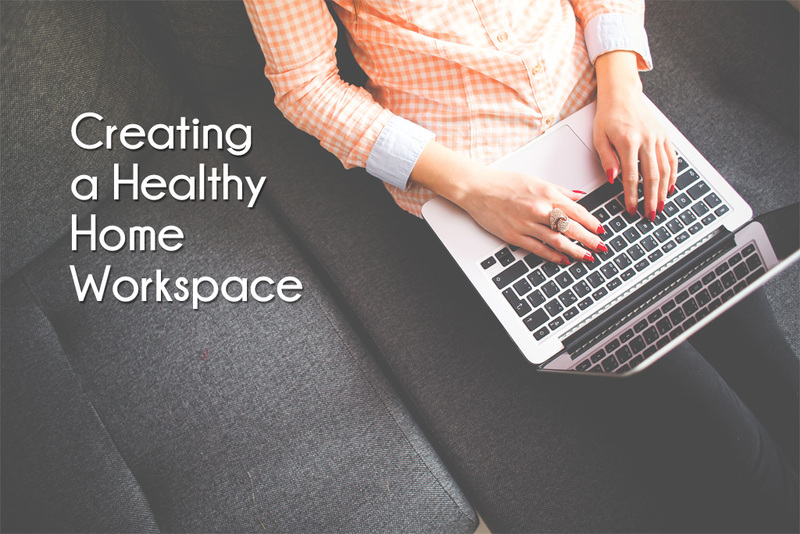 As working from home continues to become more and more common in the working world, it is important that we take the necessary steps to ensure that we are staying healthy and productive in our work environments. It is fine to work in your pajamas, but make sure you’re also using good posture!